Huh what? Did I hear that correctly? “The Canucks win in a shootout!”. Wait what? Did I hear that correctly? Once again it seems Roberto Luongo has defied critics and actually won a shootout contest. Didn’t hurt that one of the shooters managed to miss the net by two feet or more to the right. He managed to stop four other shots (let one in) to win the game. Its like Luongo is playing like his job depends on it. Might be. I’m sure he has spotted Cory Schneider when looking over his shoulder. This season has been a bit of a let down after the failed attempt to win the prize last June. It really seems to be a “ho hum” year, almost certain to end in disappointment again. But then again, maybe not! They keep winning (even when it takes extra time) and are destined to win the Northwest division yet again. 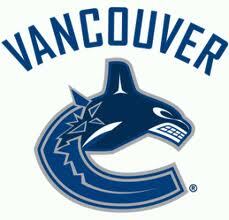 They should be able to hold onto a decent shot to win the Western conference, maybe even the President’s Cup. The dream is still alive! Comments Off on Huh what? Did I hear that correctly?